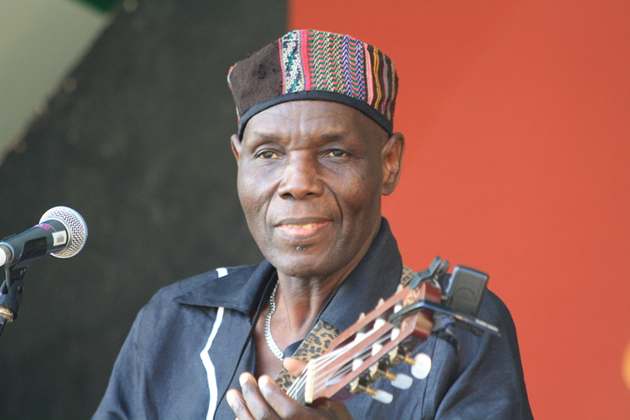 Mr Fred Gasho is bitter that the family of the late national hero Oliver Mtukudzi did not alert him, as per traditional custom, of the demise of his son-in-law. Mr Gasho is the biological father of Daisy, Oliver's widow. Mr Gasho and his wife, Daisy's step-mother, did not attend the funeral wake in Norton nor Mtukudzi's burial in Madziva. According to Shona traditions and customs, when an in-law passes away, a message, commonly called "mhere", is dispatched to the other family. The message is usually accompanied by a token. "I was never told of the illness of my son-in-law, and later his passing on. It is very difficult to hear that your son-in-law has passed away, without hearing of his illness. "Then we were shocked as everyone when we heard the news of his death on radio. We were waiting for official communication, as per our customs, but no word has come through. Therefore, we could not travel to a funeral which we were not informed of." "This time they didn't send any word nor car to ferry us but we hear they sent a bus to the Mashonga family, to take them to the funeral," he continued. Mr Gasho and Elizabeth Mashonga had Daisy but the two didn't get married. Mrs Mashonga migrated to Zambia where she bore five other children, of which three are surviving. When her husband passed away in Zambia, she relocated to Zimbabwe where she is said to have lived the life of a loner. According to recollections from villagers, in October 2016, Daisy's mother was allegedly found dead after at least two days, by a small village girl who used to charge her phone. When the little girl had not seen the old lady for some days, she went into her hut to check, and found her dead. Her memorial service in December that year was the last time that Daisy visited her mother's home, which has since been sold. "When Daisy's mother passed away, I was not told again, despite that I had paid all formalities to make Daisy be recognised as a Gasho offspring. Basically, I had paid my dues and should have been recognised as such." When her mother left for Zambia, Daisy was left in the care of her maternal uncles, the Mashongas, to where a bus was recently dispatched to ferry mourners to Mtukudzi's funeral, a development that has raised the ire of Mr Gasho. "I am Nzou Samanyanga, so was Oliver, and that is why he did the song Cheka Ukama, as he wanted to marry my daughter. Then years later, when I pestered him for the remaining lobola for Daisy, he did Nyanga Yenzou, in which he was mockingly asking me where he could find an elephant tusk to finish off the lobola. Then he did Ndotangira Poi, another song he said was a tribute to me. So how can I have been denied a chance to send off my son-in-law, who loved and admired me so much?" Mrs Agnes Gasho, the stepmother, said they enjoyed cordial relations with their in-laws, indicating that when Oliver's mother was still alive, she used to visit them. "We never got to meet Oliver's father, but his mother would visit us here. Besides us attending Sam's funeral, Oliver and Daisy would attend most of the funerals within the Gasho family. So we have been taken aback a bit by the latest denial." Whilst father and step-mother are not exactly sure why or how their relationship with the Mtukudzi's broke down, they said their last engagement was when Sam was buried in 2010. "That was the last time we engaged with Daisy and Oliver and we haven't spoken to Daisy in about five years, even over the phone. That is how our relationship has broken down but we are not sure why. "Is this to say we "ate" our muzukuru? Or we "ate" our son-in-law? The way we have been side-lined has left us with a lot of questions. "Now our daughter, Runako, is the one who is helping Daisy cope with the death of her husband. And she is telling us that Daisy is not feeling well, also. Now if they could not tell us about the illness and death of our son-in-law, we just wonder how they will tell us of our daughter? If she passes on, not that we are wishing her death, will they tell us, when they could not tell us about Oliver?" queried Mr Gasho. A stone throw away, at Daisy's maternal side, in the Matumbura village, just near Birimahwe, Clara Chitake, a sister, confirmed that they had received word that Oliver had passed on and attended the funeral wake and burial on the strength of that word. "Word was sent to us, through Friday Mashonga, who even spoke on behalf of us at the funeral. We are not sure if word was officially sent to the Gasho family, and in any case it was not our duty to make sure that word had been sent there." Never Gasho, cousin to Daisy and a friend to the late Oliver, said: "We are not sure why our family received the snub; it is still puzzling to us. Though I am cousin to Daisy, hence brother-in-law to Oliver, I was more of a friend than a brother-in-law. I started playing with Oliver well before he met my sister. And even before he married Melody, we grew up and played together in Highfield, alongside Thomas Mapfumo." He said what was more worrying is the news filtering in that Oliver was rushed to Avenues Clinic at the eleventh hour. "We hear Oliver had less than four hours on oxygen support, he was rushed to hospital when they saw he was losing the battle. "But how can a person of Oliver's stature suffer and die in silence? Why wasn't he sent to hospital on time? He could even have received better treatment, especially in South Africa, given his profile and financial well-being. "If funeral parlours scrambled to have Oliver's body, what more if hospitals had known that Oliver was sick, don't you think hospitals would have fallen over each other to take care of him? Why his illness shrouded in secrecy, why wasn't the immediate family made aware of his illness? "These are all questions that we have as a family. And all these questions are coming up because we were snubbed during his illness and subsequent death. If we had been aware of his illness, maybe we shouldn't be asking all these questions." When reached for comment, Daisy said as far as she was concerned, the Gasho family was at her husband's funeral. She subsequently cut the phone and switched it off thereafter.